In the J.D. 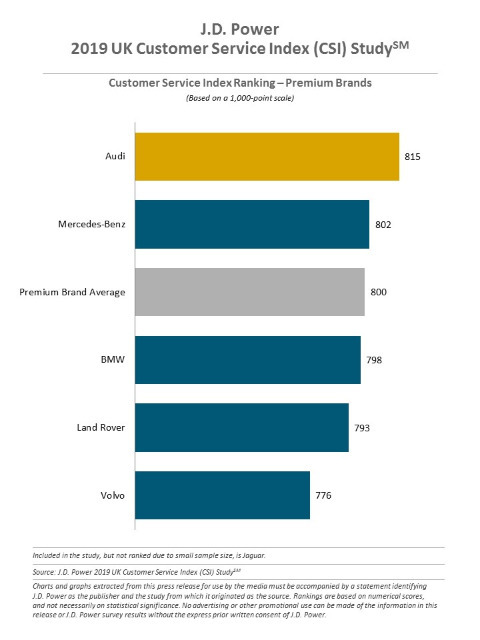 Power 2019 UK Customer Service Index (CSI) Study, Audi was ranked first overall, while Suzuki was judged the highest 'volume' brand. 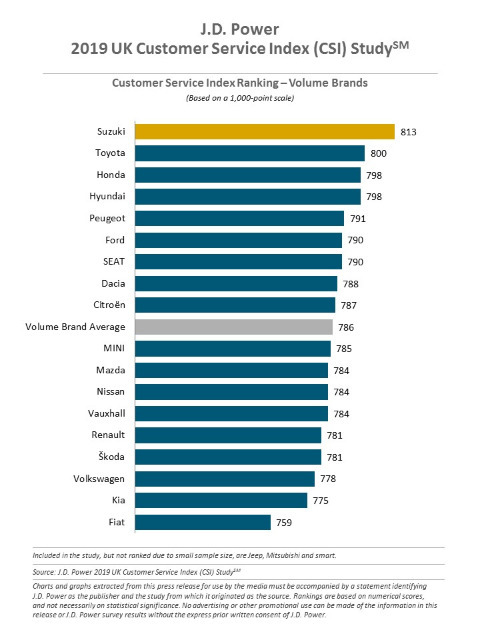 The key findings include a lot of waffle about using tablets for bookings and how UK dealers lag behind their US counterparts on communication. I can post the release if anyone fancies some bed time reading, but here are some graphs instead. Lies, damn lies and statistics! It's all horse apples. I always think the top quartile and the bottom quartile in these surveys are worth noting, as are major movements up or down by individual manufacturers (it tells you about the state and intentions of their business). Otherwise, yes, it's poop!